We pride ourselves on our extremely high standards and professional approach to everything we do. We would like to welcome you to Jimmy Chop Chop, where we pride ourselves on our extremely high standards and professional approach to everything we do. 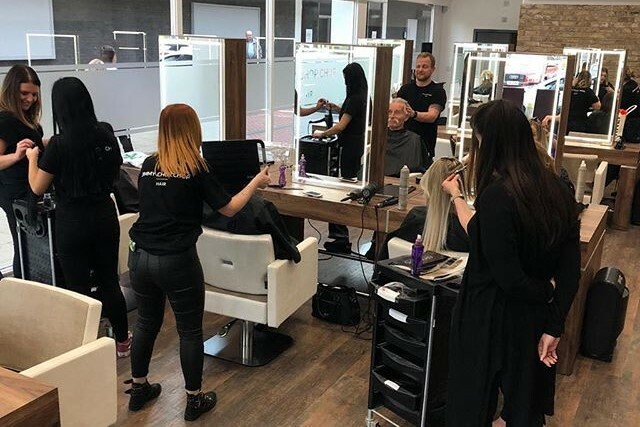 Located at two locations, on The Boulevard, Crawley and our new salon in Crawley Down, the Jimmy Chop Chop brand is a unique among salons, famed for the expertise of team of specialists and colourists. Catering to menâ€™s and womenâ€™s hairstyles, Jimmy Chop Chop focus on providing our clients with individual and friendly service, sound advice and above all, creative hairstyles and hair colour in an unpretentious environment. Excellent cut from Emma. Made me feel human again. Thank you. Lovely service and warm welcoming atmosphere. Great job Alex! Thank you. Alex as fantastic as usual!!! !